The play opens in a late 19th century store/house combo owned by the crochety and domineering Vandergelder. He is arguing with young artist Ambrose Kemper (Sam Pearson) who has asked for Vandergelder’s niece and ward’s hand in marriage (Elizabeth Hawkinson as Ermengarde). Vandergelder refuses to let his niece marry the poor artist even though he is planning to remarry. Dolly Levi, the matchmaker he has engaged to help him find a suitable bride, pretends that she is helping, but actually schemes to marry him herself. Vandergelder’s hapless clerk, Cornelius Hackl (Dan Hopman), who is longing for excitement, also meets the woman of his dreams, although she happens to be the one Vandergelder intends to marry. In the true spirit of a romantic farce, identities are confused while chaos and confusion reign supreme. Hopman and his sidekick Barnaby Tucker, played by Vincent Hannam, offer the funniest physical comedy of the play and demonstrate the importance of breaking out of your comfort zone to find adventure and love. Lindsay Marcy as hatmaker Irene Molloy, her simple yet devoted salesgirl Minnie Fay (Christian Bardin) and family friend Flora Van Huysen, played by producer Kirby Bennett, also offer fine performances as the side characters unwittingly drawn into Dolly’s plans. Characters also break the fourth wall to share with the audience their own points of view on love, life and balancing vices. The most moving and poignant of these to me were Karen Wiese-Thompson’s and the final lesson to the audience by Hannam. David Beukema and Dana Lee Thompson, each playing several minor roles with gusto, are no less deserving mention in the ensemble cast. 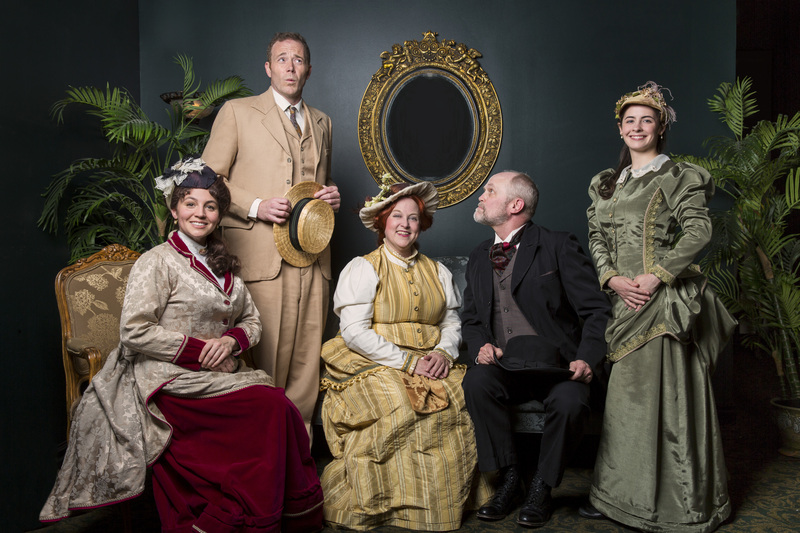 The Matchmaker by Thornton Wilder, directed by Craig Johnson, produced by Girl Friday Productions. July 10-26 at the Andy Boss Thrust Stage at Park Square Theatre, Historic Hamm Building, Downtown St. Paul, 20 West Seventh Place, St. Paul. Tickets: $25 – discounts for seniors, students, groups, fringe buttons, MPR members. Reservations at 651.291.7005 or www.parksquaretheatre.org. For more information, see the company website: www.girlfridayproductions.org.